Here is a perfect example of a typical lowercase L sighting. I found this sign today in Brooklyn, outside a poster store on Union St. 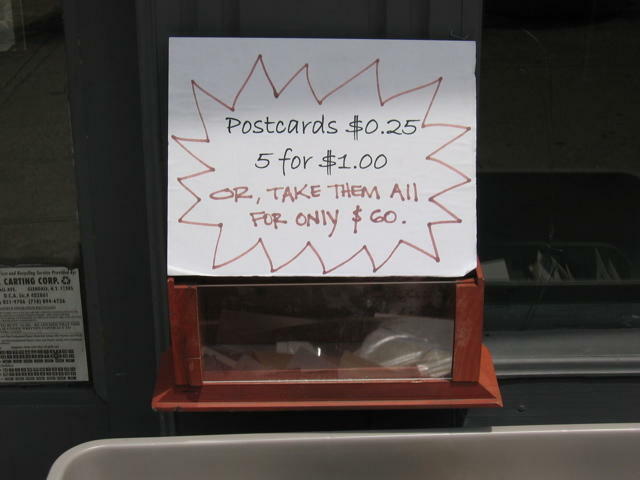 Apparently they are trying to get rid of ALL their postcards, so why go easy with the L's when writing "TAKE THEM All? I guess they're ONlY human.